This letter was written by 19 year-old Pvt. Richard Kent Lunt (1843-1863) of Company A, 48th Massachusetts Infantry. Richard was the son of sea captain Abraham Stickney Lunt (1811-1865) and Elizabeth A. Kent (1813-18xx). In the letter, Richard mentions his older brother, Abraham (b. 1835) and his little sister Roxanna (b. 1855). 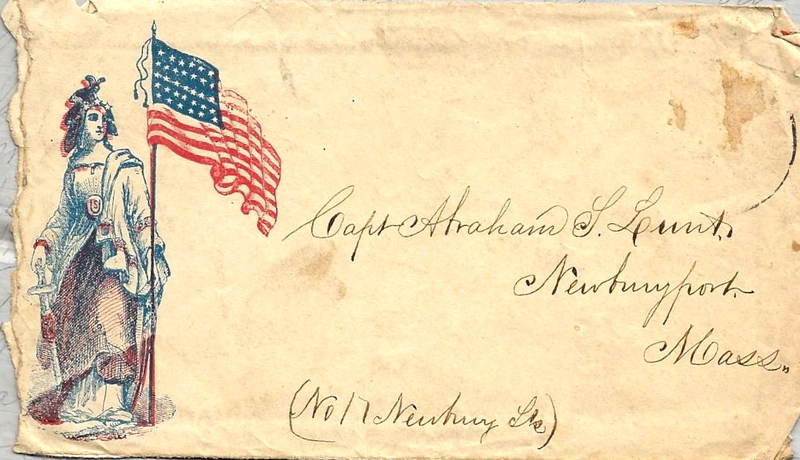 Richard was one of two men in the 48th Massachusetts killed in the assault on Port Hudson on 14 June 1863. The regiment was on the Union left attached to Emory’s 3rd Division. Port Hudson surrendered less than a month later on 9 July 1863. I thought I would write a few lines to let you know that I am well and hope these few lines will find you the same. We have left off doing guard duty up to the United States Barracks and have come back to camp. Last Thursday we started on a march down the river road towards Jonesville to mend the telegraph wire. 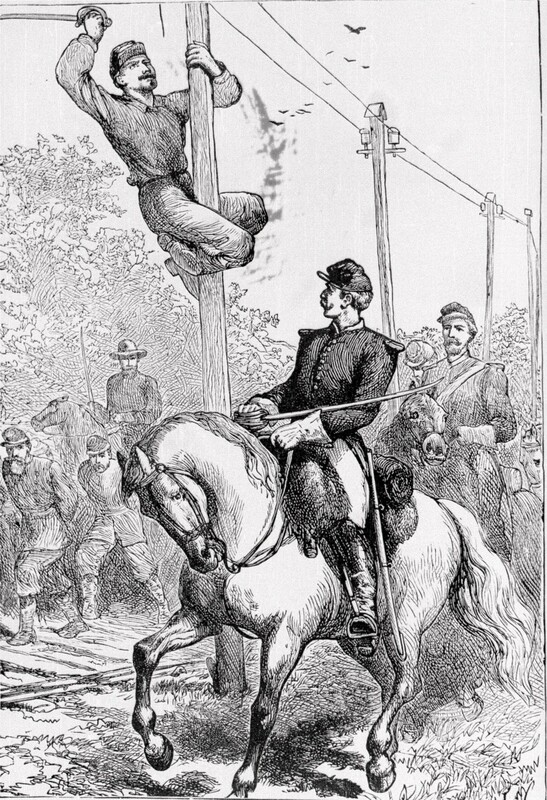 The Rebels made a raid from Port Hudson with 200 cavalry and cut the posts down and broke the wire for about 30 miles. Our company went and 4 cavalrymen and 3 telegraph operators. We marched about 18 miles and mended about 3 miles and then come across the 28th Maine Regiment. They had come up from Jonesville mending it all the way coming up. They were in camp on a sugar plantation there. We stopped for the night — this was Friday night. Thursday night we camped at a niggar hut. The 28th Maine boys treated us like gentlemen, gave us beefstake & sugar, told us where we could get milk and eggs. We got as many as we could eat and milk — you know that I am a milk hand. I got my fill. We thought when we were on the march at Port Hudson that the plantations were nice but they did not begin [to compare] with these on the river road. Dr. Kelly’s, Enoch Williams’s,¹ or any of those houses and flower gardens on High Street don’t begin [to compare] with these. Blackberries all along the road. I never saw them so thick before or so large. We had blackberry jam, blackberry & milk, boiled eggs and fried. The niggars on the plantations would jump over a fence for a piece of hard tack. They made hot corn bread for us and we had butter to eat on it. We saw one guerrilla and chased him. He jumped into a bayou and swam across and run into the woods. We got his horse. Col. Eben F. Stone, 48th Mass. While we were walking on top of the levee, we were fired into by some Rebel cavalry across the river. We saw them but their shots fell short. We had 3 mule’s wagons with us. They were loaded with [telegraph] poles and wire but we used them all so we rode back. We got back all safe about 5 o’clock Saturday night and a gay time we had. We got paid off at last. I received $21.90 and they will send you the balance $60.00. When I get the $20.00 dollar bill broke, I will send part of it home. It was hot marching the 18 miles but we fared well and rode back. We have got a tiptop camping ground. Thaddeus Houston died April 22nd — the day we were paid off. He had got run down working in the cookhouse. We all felt very bad as it was the first death in our company. He worked when he ought to have been in the hospital. The whole company followed him to the grave. Capt. [Calvin Milton] Woodward felt very bad about it. When we started on our march, Lieutenant [Charles P.] Morrison had command of the company. We got out a little way and stopped to get our canteens felled with water when a wagon came along and behold our brave captain [Woodward] was in it. The boys thought that he was not coming with us. He had to stop on business and then started and come across a team, got in, and caught up to us. We gave 3 rousing cheers for him who is beloved by all of us and then started on. He is the best officer in the whole regiment. When we first arrived in to Baton Rouge, he was the first officer that went out with the pickets. He has got good learning. 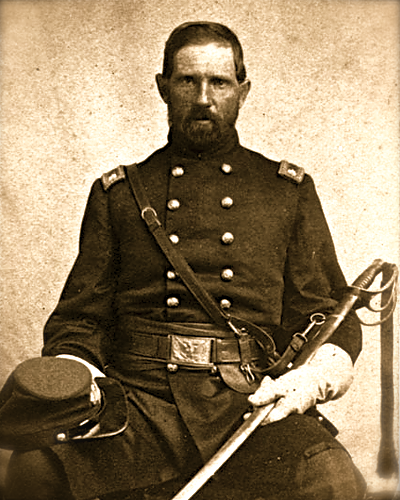 Lt. Col. James O’Brien, 48th Mass. What does Roxanna say about me? I expect she has grown some. I received a letter about a week ago dated March 15th and tonight I got one dated April 5th. I have not got any letter from Charley but expect one pretty soon. My ankle got well in no time at all. I wear shoes and they are easy. Tell Abram not to think of coming out this way. It is so awful hot and very little air. 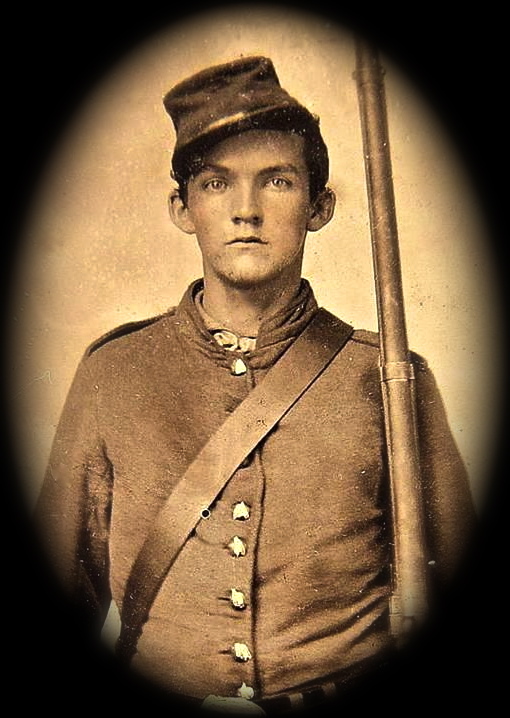 ² James F. O’Brien had recruited as many as six companies of mostly Irish-born or first generation Irish soldiers in the fall of 1862 that were intended for an Irish regiment to be named the 56th Massachusetts Infantry. 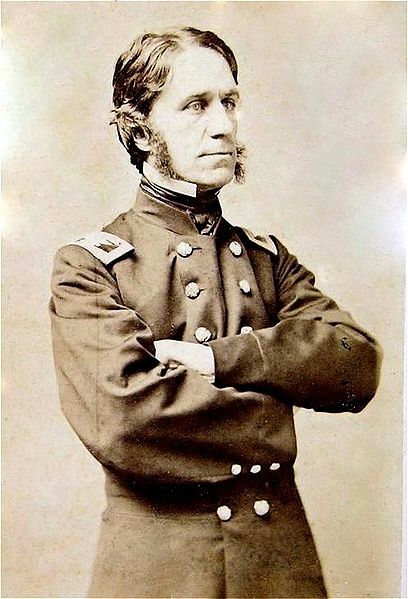 However, there being an urgent need to fill the ranks of the 48th Massachusetts in order to join the Banks Expedition to Louisiana, these companies were transferred to on 13 December 1862 and O’Brien was made Lt.-Colonel of the regiment. O’Brien was killed in the first assault on Port Hudson on 24 May 1863 with six other members of the 48th Massachusetts. See more and more. This entry was posted on Friday, May 16th, 2014 at 4:48 pm	and posted in Uncategorized. You can follow any responses to this entry through the RSS 2.0 feed.